Look a little deeper and the temptation grows. The lowest percentage in poverty since we started counting was 11.1 percent in 1973. The rate climbed as high as 15.2 percent in 1983. In 2000, after a spurt of prosperity, it went back down to 11.3 percent, and yet 15 million more people are poor today. At the same time, we have done a lot that works. From Social Security to food stamps to the earned-income tax credit and on and on, we have enacted programs that now keep 40 million people out of poverty. Poverty would be nearly double what it is now without these measures, according to the Center on Budget and Policy Priorities. To say that “poverty won” is like saying the Clean Air and Clean Water Acts failed because there is still pollution. The first thing needed if we’re to get people out of poverty is more jobs that pay decent wages. There aren’t enough of these in our current economy. The need for good jobs extends far beyond the current crisis; we’ll need a full-employment policy and a bigger investment in 21st-century education and skill development strategies if we’re to have any hope of breaking out of the current economic malaise. This isn’t a problem specific to the current moment. We’ve been drowning in a flood of low-wage jobs for the last 40 years. Most of the income of people in poverty comes from work. 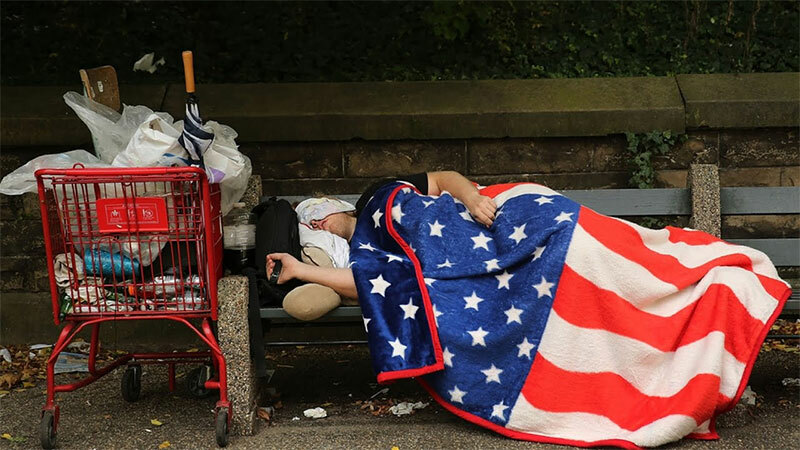 According to the most recent data available from the Census Bureau, 104 million people — a third of the population — have annual incomes below twice the poverty line, less than $38,000 for a family of three. They struggle to make ends meet every month. It’s not that the whole economy stagnated. There’s been growth, a lot of it, but it has stuck at the top. The realization that 99 percent of us have been left in the dust by the 1 percent at the top (some much further behind than others) came far later than it should have — Rip Van Winkle and then some. It took the Great Recession to get people’s attention, but the facts had been accumulating for a long time. If we’ve awakened, we can act. Low-wage jobs bedevil tens of millions of people. At the other end of the low-income spectrum we have a different problem. The safety net for single mothers and their children has developed a gaping hole over the past dozen years. This is a major cause of the dramatic increase in extreme poverty during those years. The census tells us that 20.5 million people earn incomes below half the poverty line, less than about $9,500 for a family of three — up eight million from 2000. Race and gender play an enormous part in determining poverty’s continuing course. Minorities are disproportionately poor: around 27 percent of African-Americans, Latinos and American Indians are poor, versus 10 percent of whites. Wealth disparities are even wider. 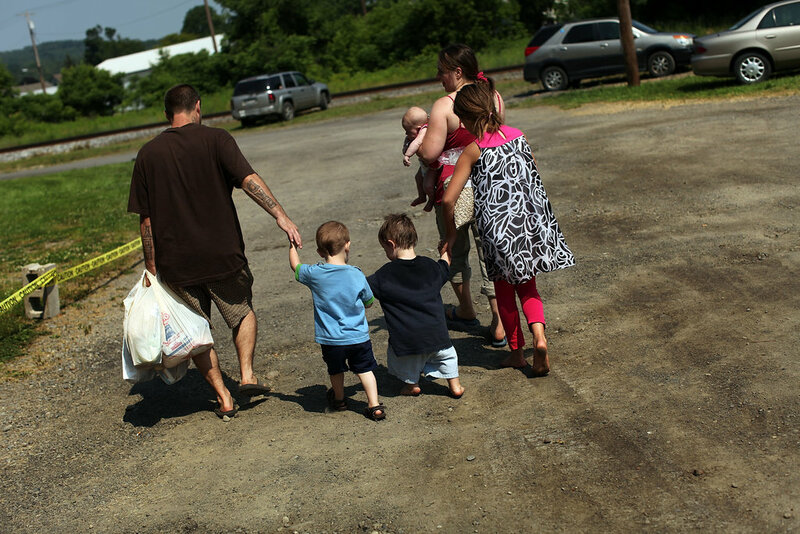 At the same time, whites constitute the largest number among the poor. This is a fact that bears emphasis, since measures to raise income and provide work supports will help more whites than minorities. But we cannot ignore race and gender, both because they present particular challenges and because so much of the politics of poverty is grounded in those issues. We should not kid ourselves. It isn’t certain that things will stay as good as they are now. The wealth and income of the top 1 percent grows at the expense of everyone else. Money breeds power and power breeds more money. It is a truly vicious circle. But history shows that people power wins sometimes. That’s what happened in the Progressive Era a century ago and in the Great Depression as well. The gross inequality of those times produced an amalgam of popular unrest, organization, muckraking journalism and political leadership that attacked the big — and worsening — structural problem of economic inequality. The civil rights movement changed the course of history and spread into the women’s movement, the environmental movement and, later, the gay rights movement. Could we have said on the day before the dawn of each that it would happen, let alone succeed? Did Rosa Parks know? This entry was posted on 3 January, 2018 in homepage. Bookmark the permalink.